Back injuries are the most debilitating and at the same time common injuries of the modern society. Poor body alignment, sedentary lifestyle as well as inefficient body mechanics contribute to the fact that about 80% of adults experience lower back pain at some point of their lives. Eliminating or preventing back pain is one of the top reasons why people start doing Pilates. Modern research proves the efficacy of the Pilates method to treat and prevent back pain. However, findings published by Professor Stuart McGill of the University of Waterloo in Canada show that traditional core strengthening exercises that involve loaded spinal flexion can and will eventually lead to back injuries. To learn more about professor McGill’s teachings please read Pilates for Healthy Backs: Teach Safely, Work Out Wisely. That is why it is important to teach Pilates (or any other fitness modality for that matter) with safe spine flexion techniques in mind. This is the only safe way to gain all the benefits of Pilates and enjoy a pain-free back. Today I am talking to Rebecca Leone, a Pilates educator whose mission in life is educating the Pilates community about safe spine teaching techniques. So open your scratchpad or Evernote and start taking your notes as you listen to this interview. There is a lot of information to digest! What makes Pilates a valuable tool in protecting the spine? How to teach Roll-Up (and other exercises with trunk flexion) safely. 5 best Pilates mat exercises to teach proper core engagement in a safe way. Exercises in the classical Pilates repertoire that should be eliminated completely to protect the spine. How to use the principles of safe spine teaching to strengthen and protect the spine. If you like eating ice cream does it mean that you know how to make it from scratch? I know it seems that ice cream has nothing to do with Pilates but I beg to disagree. If you love Pilates then you can compare it to eating the most delicious ice cream. As a teacher you probably also find pure joy in teaching Pilates, educating clients about better body mechanics and spending your free time learning and becoming a better instructor. However, in order to be a successful instructor you need to have clients; you need to grow your business whether as an independent contractor working at a studio or as a studio owner. Teaching Pilates is like eating your favorite flavor of ice cream, it comes natural to you. But building the business aspect of your Pilates career is like trying to fix that ice cream from scratch. You need to have the recipe, the tools, the ingredients and the time that is required for this job. Today I am talking to Gina Axelson, the creator of the Profit with Pilates training course for Pilates professionals. She is a fully certified Pilates instructor, a former studio owner and an amazing Pilates business coach. What does it take to run a profitable Pilates business? Where should the instructors spend their time (besides teaching, of course) to ensure the stable growth of their business? What are the vital cornerstones of marketing a Pilates business? What is the #1 piece of advice for the instructors who love teaching and hate selling? What are the expenses of running a Pilates studio? When should you expect to see the business support itself financially? How can a studio owner hire good Pilates instructors and retain them? What are the biggest mistakes that you see instructors making that prevent them from running a profitable Pilates business? What is the recipe for a profitable Plates business? Would you have liked to have taken a class from Joseph Pilates himself? It would have been pretty awesome, don’t you think? Unfortunately, most of the instructors and Pilates devotees today didn’t have the privilege of working with the Genius of the Method but first generation teachers still possess the knowledge and spark that they learned from Joe himself. The more time passes by the less likely we are to take Pilates just the way it was created by Joseph Pilates. But one instructor and her supportive husband set out on a journey to preserve the Pilates Method as close to the original Work as possible. 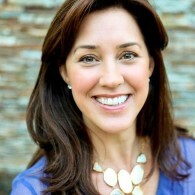 Alisa Wyatt has created a Pilates video website where anyone can take classes and workshops taught by Jay Grimes (first generation teacher), Bob Liekens, Alycea Ungaro (author of the Pilates bestsellers Pilates: Body in Motion, The Pilates Promise and The Pilates Practice Companion) as well as other wonderful second generation teachers. Practical ways to transition from a regular job to teaching Pilates. Most important teaching lessons learned from Pilates elders: Romana Kryzanowska, Kathy Grant and Jay Grimes. How to build the first session with a new client. Best Pilates resources for any Pilates instructor. The #1 piece of advice for any Pilates instructor. The number of hip and knee replacements has increased by 84% in the past decade making these surgeries the 12th most common inpatient procedures in 2010. Due to the nature of a Pilates workout, it is the perfect program to facilitate recovery after hip/knee surgery. What unique benefits does Pilates offer after a knee/hip replacement? Why is it ideal to do Pilates before surgery? What muscle imbalances are most common after hip/knee surgery? What are the main areas of focus of a Pilates workout? When is it safe to start a Pilates-based rehabilitation program? How does Pilates therapy compare/differ from PT? What are some of your clients saying about the results of their Pilates program? What is the best Pilates homework after surgery? Have you ever considered running a home-based Pilates studio? Many passionate Pilates instructors find that running their business from home is a wonderful opportunity to do what they love without the hassles and risks of a traditional storefront studio. The biggest perk of working from home is having minimal overheads (or none at all.) However, there is more to running a Pilates home studio then just putting a Reformer in your spare bedroom. Listen as I talk to Andrea Haritan, a Pilates instructor who is living her dream of running a home-based Pilates studio in the Lake Norman area, NC. Andrea is a movement professional with over 40 years’ experience as a dance student/performer/teacher, group fitness instructor/personal trainer, and Pilates instructor/student. Before becoming a fully-certified STOTT Pilates instructor, she earned a master’s degree in Human Movement from Boston University and was certified by the PhysicalMind Institute to teach Pilates Matwork and by Alternative Fitness to teach Pilates Reformer. Andrea enjoys encouraging her students to move more efficiently which results in them ultimately feeling better and looking better. What is better, running your own studio or working at a studio? What are some of the challenges of running a home studio? What is the best strategy for finding clients for your home studio? What are the benefits in your opinion of a home studio? What Pilates equipment/props are a must for a home Pilates studio? Are there any aspects of running a Pilates home studio that you would like to warn other instructors about? The most important piece of advice for any beginner instructor. Passion for learning is what sets apart great Pilates teachers from the mediocre ones. The more we learn the thirstier we get for new information, deeper understanding and more specialized approach to teaching different populations of students. Talking to Leah Stewart was a blast because she is definitely one of those awesome Pilates instructors. Her personal prenatal journey (which she shared on the BASI blog) has motivated her to specialize in pre/postnatal teaching and create her certification course. She is the author of Pilates for New Mothers DVD and the creator of as LiveLife Pilates Pre- and Post-Natal Pilates Specialization Course for Pilates professionals. She gladly shared some of her favorite Pilates moves for prenatal and postnatal clients as well as the overall focus of any prenatal workout. She also holds several fitness-related certifications and offered valuable insights into how you can grow your Pilates expertise through pursuing training in other fields. What sets BASI apart from other Pilates teaching schools? How did your pregnancy change your teaching style and your focus of interests? Why is Pilates a perfect workout for pre/postnatal clients? What is the main focus of a prenatal workout? What are your favorite Pilates exercises for any prenatal and postnatal client? Is it important for Pilates instructors to search certifications/training in other fields? Are some of them more beneficial than others? What are your favorite resources (books, websites, DVDs etc) that would be helpful to other instructors? What is your personal definition of Pilates?